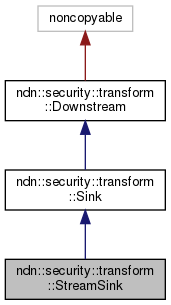 A sink which directs output to an std::ostream. Definition at line 34 of file stream-sink.hpp. Create a stream sink which outputs to os. Definition at line 30 of file stream-sink.cpp.